- No reground material used! Peace sign beaded lanyard necklace with your own custom imprint. 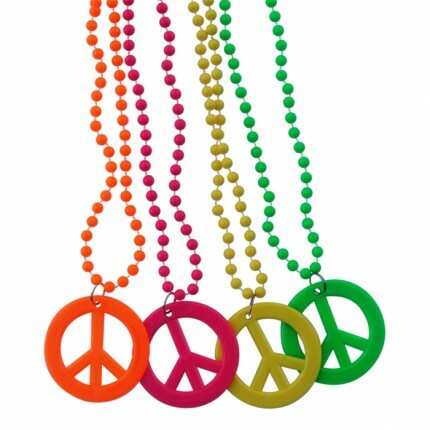 Excellent party favor for 60's theme, or for any retro party, giveaway or wedding. Made of plastic. Size 18" L.